Hi everyone, I'm new to the forum and hoping you could help out. 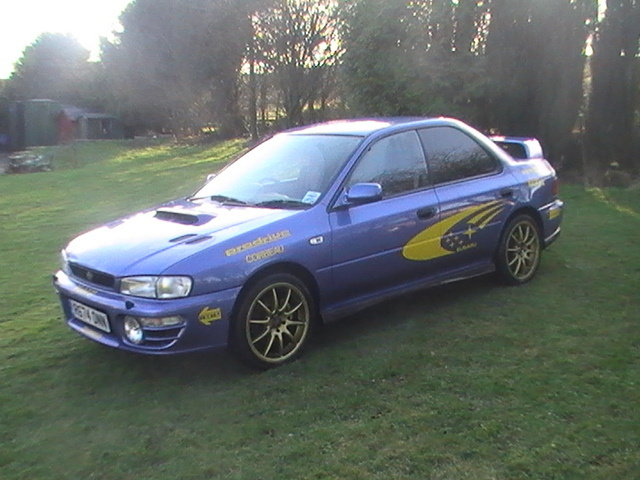 I've been offered an R reg Subaru Impreza turbo as a swap for a bike I'm selling. I'm a little unsure whether or not to go for it, which is were your help is required. 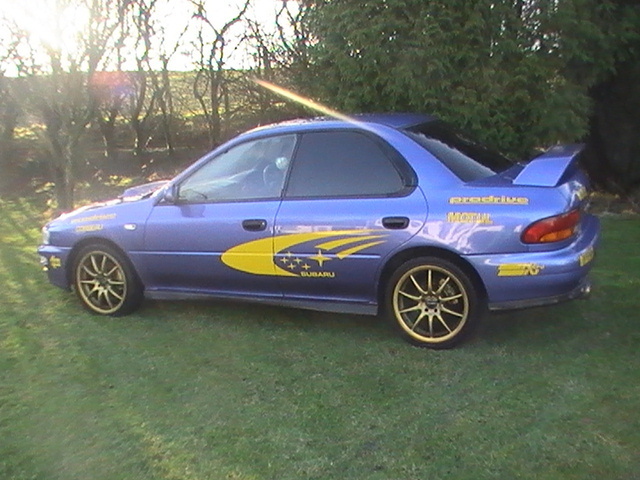 It's a Subaru Impreza Turbo, R reg. 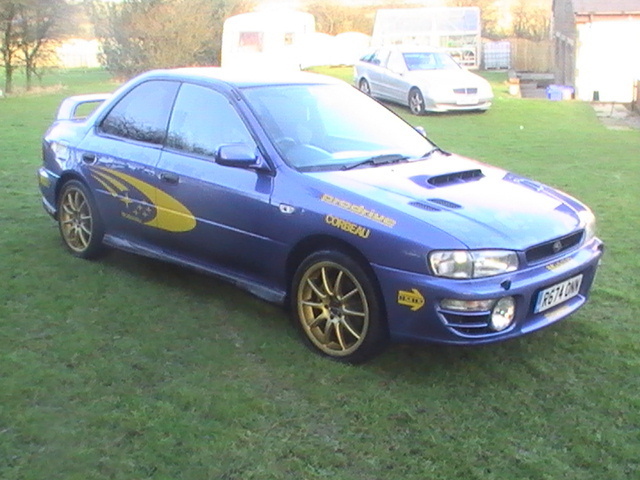 Its got 90,000 miles on the clock and has had 8 owners. Its been upgraded with a bigger turbo, but don't know any more about it than that. MOT expires in September and there's also 2 months tax left, he also stated that 6 months tax was £115 is that correct? Apparently the previous owner lost all the service history but he has receipts from the work he's had done and has the last MOT certificate. I know it's not much info but based on that alone what would peoples opinion be about swapping for it? Also how much do you think it would be worth, if it's possible to do a rough price based on that little info alone. I'm just a bit worried about there being no service history, and because I know little about cars I don't want to end up having to fork loads of cash out on it getting stuff repaired etc. Sorry for the long post, I really like the car but I'm just a bit uncertain about it. Any and all help/advice will be really appreciated. I wouldn't get involved personally. When I sell something I want cash and I'll find my own replacement. Buying a Scooby is a special thing. Looking at them, research etc, is half the fun for me. I wouldn't take the first car I was offered. Pricewise I would say its worth about 1.5k but without seeing it and more research thats just off the top of my head. I wasn't actually looking for a swap, or a new car. 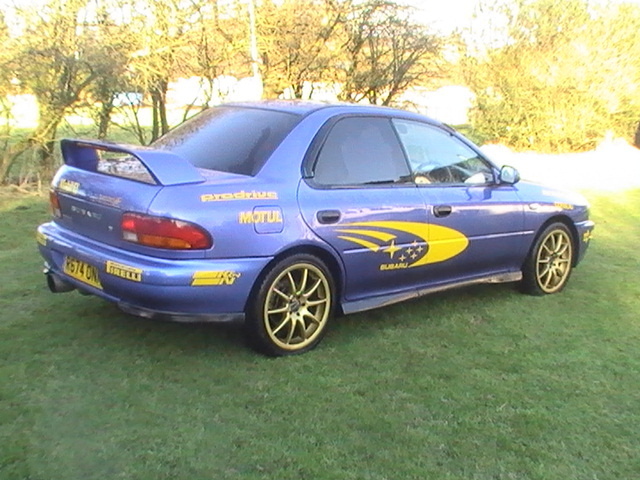 My dilemma is I've always been a fan of Impreza's and always wanted one. So the idea of a swap has got me really interested, but like I said the lack of service history has me worried. Another question is if I decided to take the swap then a few months down the line I decided it wasn't for me, would I struggle to sell it on, or would the price drop quite a lot due to there being no service history? poretty sure i answered this on scoobynet, but iirc your bikes worth £1500, so might not be a bad deal. Ha yeah, you've caught me out. For some reason Scoobynet wasn't letting me post so I joined this site, then tried again on Scoobynet and it let me post. Here's some more pics but I've non of the interior, I have asked for some but he's not got back to me. Im surprised Tidgy didnt ask this: has it got proof of being remapped as its had its turbo upgraded. Just going of the photos it looks really nice, take it for a test drive to see what its like. I'm going to leave this alone. I was told it was on Ebay, so had a search for it and it turns out its got overheating problems. I've been advised it's most likely to be the gasket and could cost up to £1000 to fix, so it's just not worth it. Thanks for the help and advice tho. overheating issues = mega expense to repair 99.9% of the time so def one to walk away from. Yeah, I'm just going to take my time and save up some spare money, then just buy one outright, will probably go for an estate. I just don't fancy risking it. If there was a cheap way to find out the problem I'd still be keen. It's only about 10 minutes away from my house but I just don't know anything about cars, so wouldn't even know where to begin. there are plenty of good cars out there, sell your bike and take your time finding a good one.